Prof. Dr. Gernot Müller-Putz heads the Institute of Neural Engineering and its associated Laboratory of Brain-Computer Interfaces at the Graz University of Technology. He received his MSc in electrical and biomedical engineering in 2000, his Ph.D. in electrical engineering in 2004 and his habilitation and “venia docendi” in medical informatics from the Graz University of Technology in 2008. Since 2014, he is a full professor for semantic data analysis. Prof. Müller-Putz managed several national and international projects, like Wings for Life and European Projects. He recently coordinated the EU Horizon 2020 project MoreGrasp. His extensive knowledge and experience in brain-computer interface research and related fields are crucial for improving the quality of life of patients with disorders of consciousness or high spinal cord injuries. Recently, he was awarded with the European Research Council’s Consolidator Grant “Feel your Reach” and in May 2017, he received the Ludwig-Guttmann Award from the German Medical Spinal Cord Injury Association. 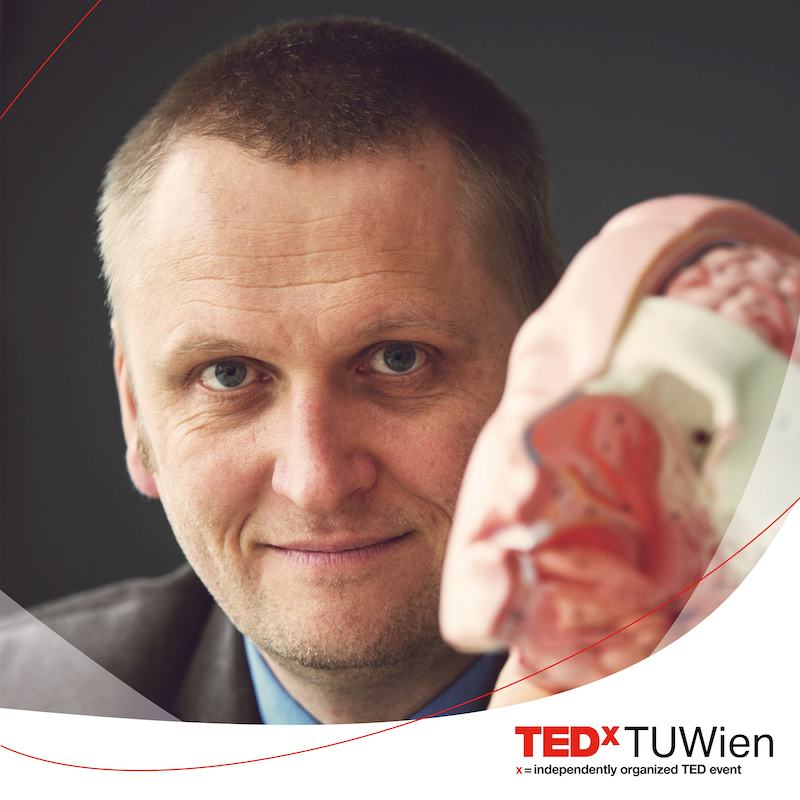 At TEDxTUWien 2019 Prof. Dr. Gernot Müller-Putz will introduce us to his fascinating research field and reveal interesting insights about his work with thought-controlled neuroprostheses.